Norfolk Council Council has appointed a joint venture of BAM Nuttall and Farrans Construction to work on the final design and construction of the project. The bridge will link the A47 at Harfrey’s Roundabout on the western side of the river with South Denes Road and the port and an enterprise zone on the eastern side. 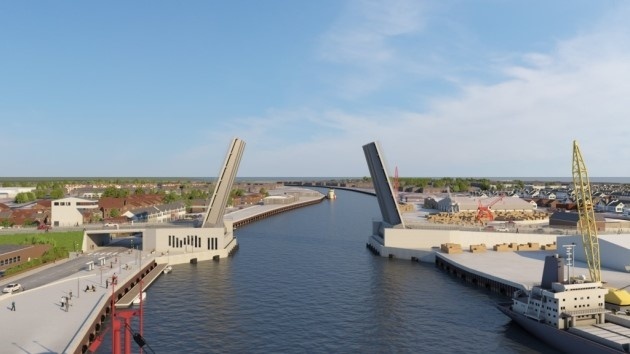 BAM Farrans has developed a twin leaf bascule bridge design with the counterweights below deck. So far, US$124 million of funding from the Department for Transport has been awarded to Norfolk County Council towards the anticipated US$152 million cost of the project. BAM Farrans will now be working with the project team at the county council to finalise the detailed design and construction requirements. The finalised design details will be confirmed when submission of the development consent order is made to the Planning Inspectorate in the spring. The details will also take into account the feedback received from a recently completed consultation process. Construction due to start on site towards the end of next year.